Buy your LG Chem lithium ion battery RESU 3.3 kWh battery at the lowest price - online only. LG Chem lithium ion RESU 3.3 kWh batteries are preferable where the number of cycles is greater than 6 000. In addition, the strength of these batteries lies in the fact that you can use up to 90% of their capacity. The LG Chem lithium ion battery pack is the ideal solution to ensure your installation's proper functionning over the next 20 years. No maintenance is required.This lithium battery is ready for use. 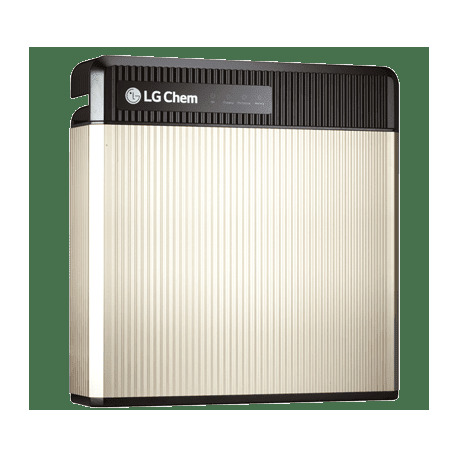 Lithium Battery: LG Chem uses lithium technology, which makes it lighter than lead batteries. It does not suffer the memory effect and has greater autonomy. 90% discharge: At up to 90%, this battery has the best discharge on the market. The capacity is3.300 Wh with a discharge of up to 3.000 Wh available. 6.000 cycles or more: The number of cycles possible with this battery makes it ideal for long term use. With an average of 250 cycles per year, the LG has an estimated service life of nearly 20 years. Lightweight design: The LG Chem weighs 30 kg. Its simple and clean design allows for easy installation. 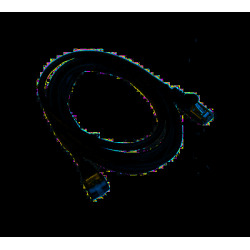 Operating temperatures of between 0°C and 40°C guarantee optimum use wherever it is installed. 3.300 Wh Storage Capacity: This battery has a capacity of 3.300 Wh. This is equivalent to 3.300 W for a period of 1 hour. If this is not enough autonomy, you can add multiple batteries to your cart. The capacity simply adds on. 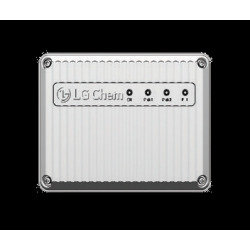 3.000 W Output Power: LG Chem has an instantaneous output of a maximum of 3.000 W.
Extension kit to connect your LG Chem RESU 3.3, RESU 6.5 and RESU 19 batteries (48V operation). Limited to 2 elements together. No possibility to mix different references.